GRACE, as its name aptly suggests, is a dress distinguished by grace and subtlety proper to genuine ladies. Its design is likely to be appreciated by women who see themselves as self-confident and rather out of the common. 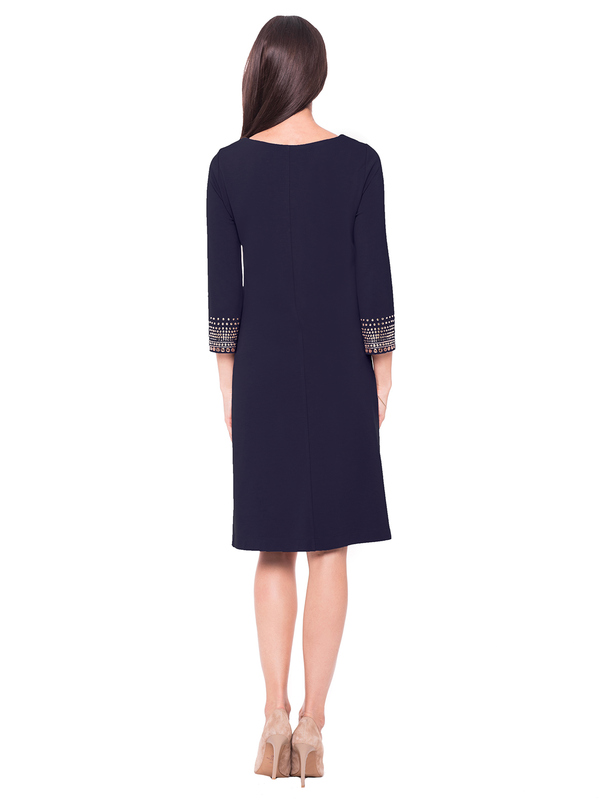 GRACE features a knee-length simple cut and a slightly oversized fit. Elbow-long sleeves with slight flare. Subtle golden embroidery on the sleeves decently decorates the garment while not making it feel overly debonair. The dress will prove reliable for a number of events and situations, from work to church. Its character will be best flattered if combined with matching vintage accessories: a bag with a chain shoulder strap and a pair of classic heels will get you a polished look. Exposed wrists will enjoy the company of delicate golden and silver bracelets.